A newly filed piece of legislation that would protect the first amendment rights of student journalists in Missouri public schools and colleges is making its way through the State House. Abby Kempf is a senior at Rock Bridge high school, and one of the editors-in-chief of the school’s journalism program. “Just to think that that would happen to someone who’s put so much work into a story that they’re told, ‘No, your students aren’t mature enough to hear this,’ I think that’s ridiculous and I think this bill is really important to protecting high school journalism rights,” Kempf said. 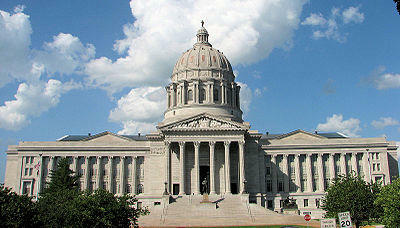 The Walter Cronkite New Voices Act faced no opposition during its hearing in Jefferson City on February 1st. However Kempf and her classmates said that if it passed, the bill won’t actually have much of an effect on their classroom. “I’d say we’re very lucky here at Rock Bridge,” Alice Yu said. She’s a senior and also one of the program’s editors in chief. “I haven’t felt explicit censorship from administrators, they’ve been pretty kind in terms of letting us publish breaking news stories." Robin Stover is the journalism teacher at Rock Bridge high school. Elijah Haahr is the state representative who sponsored the New Voices Act. “What the bill does, essentially, is it puts the onus on a school or teacher who attempts to in some way restrict what speech a student journalist can produce,” Haahr said. The bill directly opposes the decision from Hazelwood School District V. Kuhlmeier, a 1988 Supreme Court case that began in Missouri. Student journalist Cathy Kuhlmeyer Frey sued after her principal censored an article from the student newspaper about teen pregnancy and the impact of divorce on her students. During the University of Missouri protests in November, faculty and students were filmed trying to block student photographer Tim Tai from covering the event. Haahr says that was one of the key events that sparked the New Voices Act. “Cathy Kuhlmeyer Frey, the original Hazelwood V. Kuhlmeyer plaintiff, and Tim Tai, the journalist from Mizzou, both of them came to testify for my legislation in the house emerging issues committee,” Haahr said. The bill passed the emerging issues committee and the rules committee unanimously, and Haahr believes it will be on the floor of the House in the next two to three weeks. Although Yu says the bill may not impact the Rock Bridge high school classroom, she says that it’s important because it will allow students in all Missouri journalism programs to experience that same level of freedom and professionalism. “We’re able to express what we deem as newsworthy, and talk about subjects that maybe other people don’t want to talk about, and not have the fear of being shut down by a higher power who wants to hush it up,” Yu said. Haahr said he is hopeful the Walter Cronkite New Voices Act will be in the senate before the legislative Spring Break on March 17th, and strongly believes it will pass.